A new and deadly breed of covert agent walks the streets. Known as Contractors, these assassins and spies wield bizarre supernatural powers to carry out the dirty work of others. One among these operatives is more mysterious than the rest: the masked killer BK201, the Black Reaper. He may not be responsible for the bombings plaguing Tokyo, but blame is tough to assign with so many clandestine agencies vying to control all that Hell's Gate could offer. 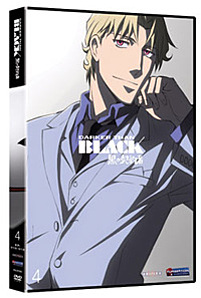 The list of suspects shrinks considerably when a Contractor from the Black Reaper's past reappears. A new faction is waging war. Their motives are hidden, but their tactics are incredibly bold. Special Features: Episode 16 Commentary (Troy Baker, Travis Willingham, Laura Bailey), Production Artwork, Textless Songs, Trailers.